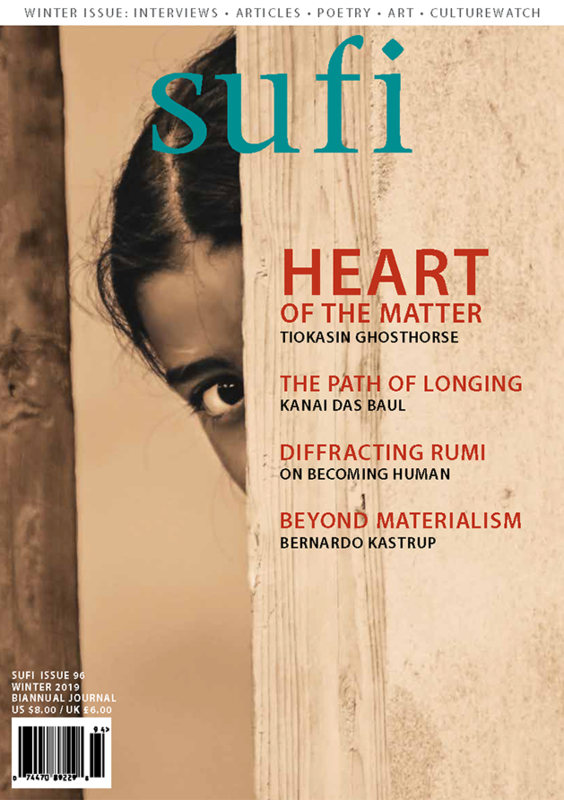 In this Issue of SUFI, Dr. Alireza Nurbakhsh tells us altruism is fundamental not only to our spirituality but to our identity as human beings. Examples of this are found in the powerful healing combination of Sufism and shamanism embodied by Shaikh Rahmi Oruç Güvenç and in the ancient Blessing Way chants of Medicine Woman Sheila Goldtooth. Readers will also find in this Issue a fascinating exploration of Sufism in West Africa through the eyes of a contemporary Sufi Shaikh in Senegal. Gazing out at the deep, glacial lake,carved out of the earth’s surface over a million years earlier, where kids were shrieking and jumping from rafts, I pushed my feet into the cool sand beneath the hot surface and squinted back at my own history. I traced it familiarly through the cottages and lakes of my childhood, then back more philosophically along a timeline that began with my mother and led all the way through the glacial days and the molten days, back to the big bang itself – the one event that links us all, our single family reunion. And, sighing over what had been feeling like the great weight of care-giving, I considered the obligations of daughters to mothers and wondered where they left off, unable or perhaps unwilling to see beyond the makeshift and unnatural borders I had thrown up: her and me. In “The Enormity Club,” essayist Jan Shoemaker reflects on the philosophical reverberations brought about by caring for her elderly mother. Studying her own feelings of resistance to the disappearance of things she loves, she uses ready humor and stringent thinking to consider that perhaps the things that separate us really are a lie. 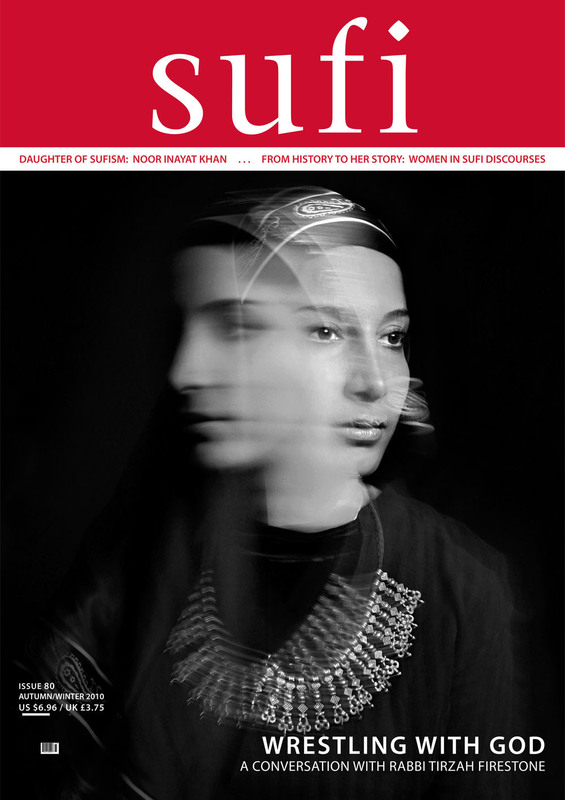 From Issue #80 on we have shifted the focus of SUFI to how it could best contribute to raising the spiritual consciousness among people of diverse backgrounds, beliefs and experience, and to introduce more diverse interpretations of the Sufi path and other spiritual disciplines in both a contemporary and historical context. 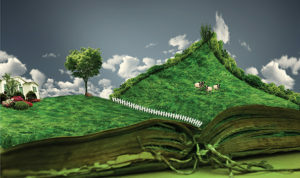 Thus, in this issue our featured articles and narratives present expressions of women’s experience and perspective of the mystical in modern life – an Asian Sufi living in World War Two Europe, an American woman experiencing the mystical dimension on the streets if Istanbul, a Sufi scholar examining gender bias through a foundational Sufi Text, and an interview with a rabbi who overcame religious and gender prejudices to reach her goals. 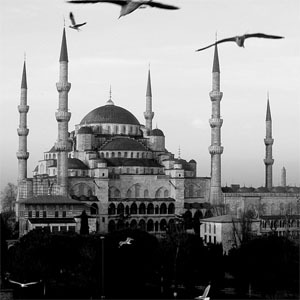 Under the Minaret is a compelling essay about an American woman experiencing the mystical dimension on the streets of Istanbul.